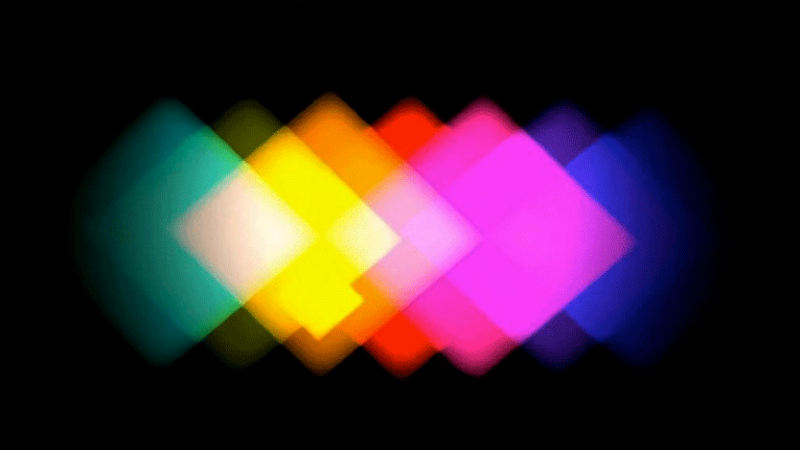 Punto y Raya and Reykjavík Center for Visual Music have joined forces to produce the greatest Abstract Visual Music and Live Cinema event in history. Based in Barcelona, MAD is a non-profit association devoted to cultural engineering through the development of projects involving Art, Science and Technology. 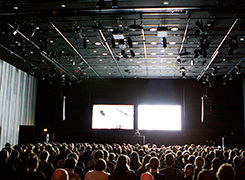 Based in Reykjavík, RCVM is devoted to the promotion of Visual Music in various formats. Statuettes designed by Ingibjörg Jonsdóttir. 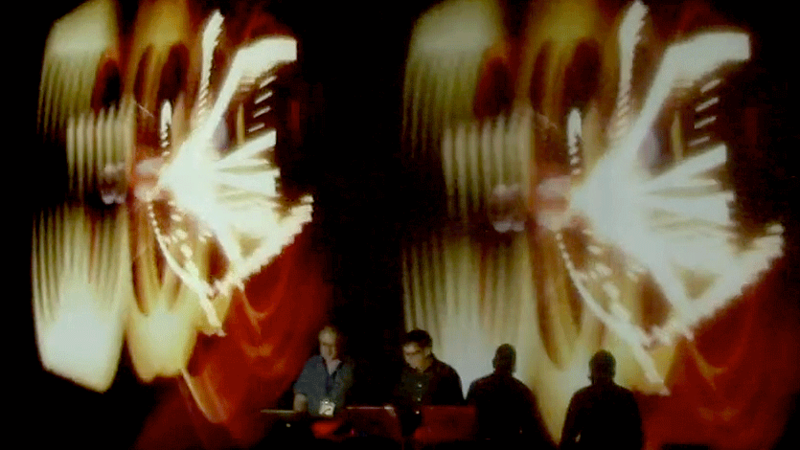 "One of the purposes of Visual Music is to connect people, places and ideas to create a sort of turbulence, which will inspire and give birth to something new. The award symbolizes a well placed inside the collective unconscious, and the taps represent the flow of new thoughts and ideas." MAD and RCVM (Reykjavík Center for Visual Music) join forces to create the greatest abstract Film & Visual Music event yet. 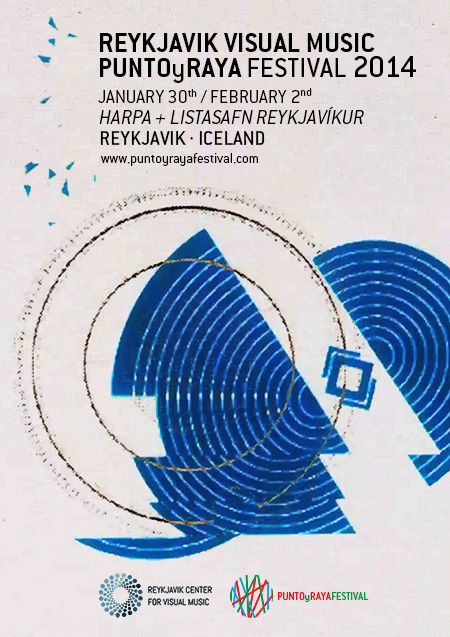 The RVM · PYR Festival took place from January 30th through February 2nd 2014 at HARPA Reykjavík Concert Hall (Iceland). The fifth PyR international competition brought together nearly 500 artists from 46 countries, and the activities programme included live performances by renowned figures such as Ryoji Ikeda and Ryoichi Kurokawa; opening concerts -especially commissioned for the occasion by RCVM- by Bret Battey + Hugi Guðmundsson y Sigurður Guðjónsson + Anna Þorvalsdóttir; guest national panoramas from Austria and Poland, and for the first time, a PyRformance competition featuring artists like D·Fuse and Max Hattler. Parallel activities included the educational Academy Programme and the Cadences of Line and Colour exhibition at Listasafn Reykjavíkur (February 1st- April13th). 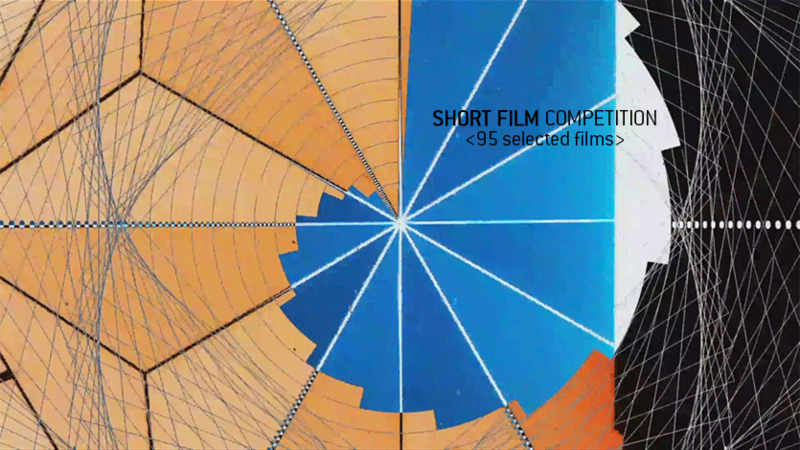 In our fifth Call for Entries, we've received 371 films from 46 countries in 5 continents. These are the 96 selected works, structured in seven 50' modules. 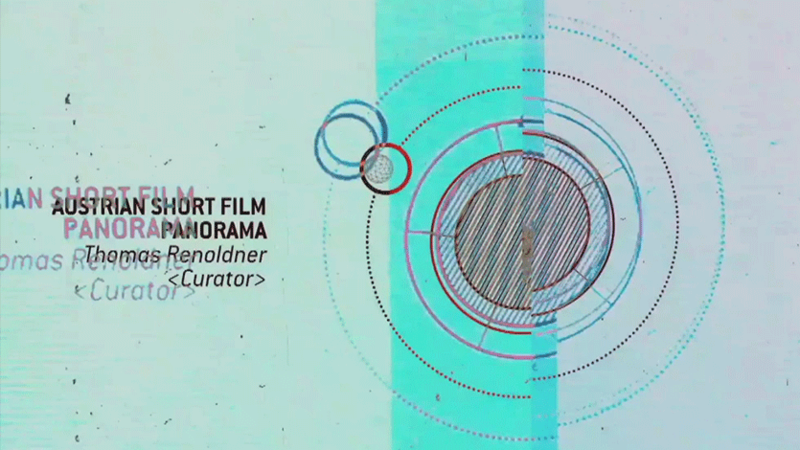 Curated and presented by Ania Głowińska and Thomas Renoldner, these panoramas will introduce us into the history and evolution of experimental abstract cinema in their respective countries. 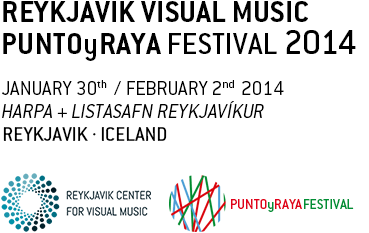 Through the first Reykjavík Visual Music call for entries we have received 102 proposals from 30 countries. It wasn't an easy task for the selection committee, but here are the four finalists, which participated in the festival. We're opening the festival with deluxe concerts commissioned specially by RCVM (Reykjavík Center for Visual Music) to Bret Battey + Hugi Guðmundsson & Sigurður Guðjónsson + Anna Þorvaldsdóttir. 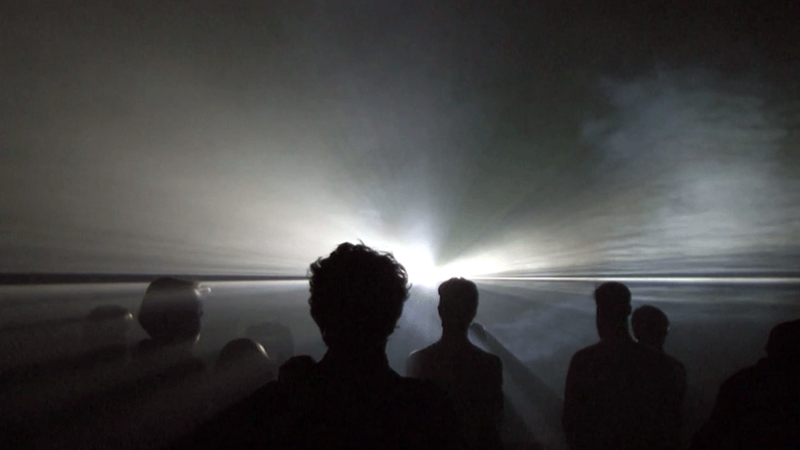 The acclaimed Ryoichi Kurokawa and Ryoji Ikeda will conquer our senses with their overwhelming guest sessions. Masterclasses, presentations and additional screenings, with free admission and open to audience participation. 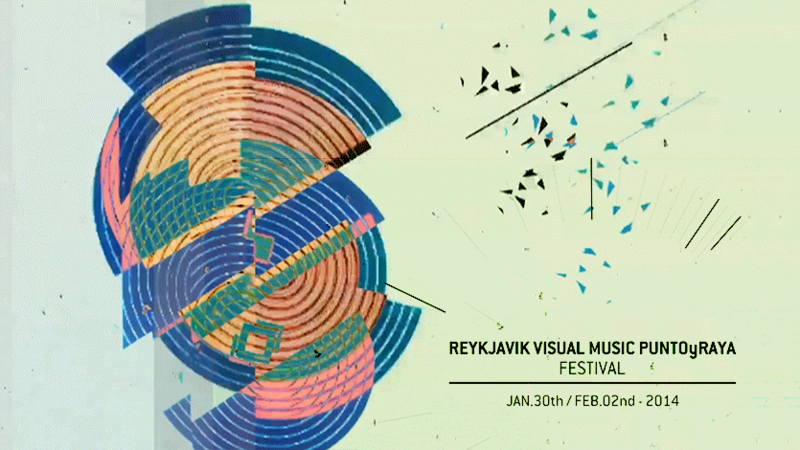 On January 29th & 30 2014, music, design, architecture and fine art students will participate in the animation, code programming and real·time visuals Workshops at Listasafn Reykjavíkur. 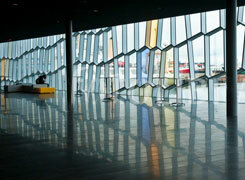 Harpa opened its doors in May 2011 and is home to the Iceland Symphony Orchestra and the Icelandic Opera. It also hosts a myriad of concerts spanning all musical genres, and numerous events, meetings and conferences. 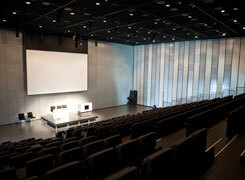 Its Silfurberg room can accommodate over 1.000 people. With a capacity of 400 people, this portion of the Silfurberg Room will host the live sets in the competition. 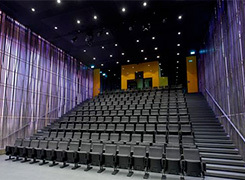 With 200 seats, this portion of the Silfurberg room will host the Short·Film Screenings. With a capacity of 100 people, this hall is located in front of the Silfurberg room's access. It is a dynamic space, a meeting point, where we'll carry out our HUB activities, including talks, round tables and master classes. This room will host the guest live sets. 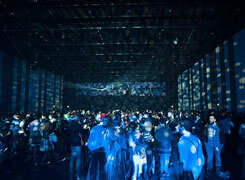 The sections #A & #B will merge for the guest Live Cinema Sessions, with a total capacity of over 1.000 people. An extra space for intimate presentations and masterclasses with guest artists. Founded in 1973, the Reykjavík Art Museum is the largest visual art institution in Iceland. Its mission is to present contemporary art in its many manifestations. The Hafnarhus research and experimentation center is located 300m. away from HARPA. This is where the Visual Music exhibit and some of the 2014 Academy activities took place. BA in Graphic Design and Photography. She works as a freelance art director and web designer. 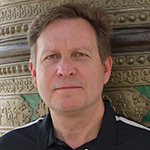 Screenwriter and researcher. She occasionally delves into making experimental videos and animations, and lectures and writes essays as a film critic. 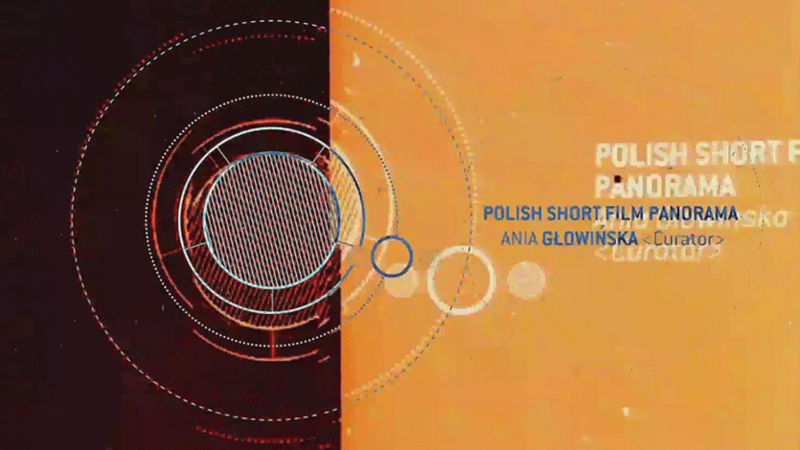 A couple of her short films have been awarded internationally. Since 2008 she's been a member of the iotaCenter's Advisory Council (Los Angeles, CA) and coordinator of the Spanish speaking community at the Visual Music Village. She acts as a juror for various international film & animation festivals, and curates special programmes of avantgarde animation. 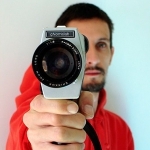 Entrepreneur, marketing director and amateur musician, his passion for Visual Music turned him into some kind of a patron in the genre, creating the Reykjavík Visual Music Festival, the first Visual Music event in the world devoted to abstract live cinema. Finished an art degree from MHÍ in Iceland in 1998, and studied Marketing and Operations Management at Reykjavik University in 2012. 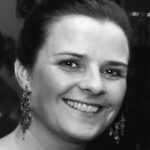 She's been a director at i8 Gallery until 2012, and currently works as an independent art consultant and project manager. Filmmaker, creator of visual settings, mapping artist. Creator and CEO of VjSpain, the greatest online network for visualists and mapping artists in the Spanish Speaking World. BA in Telecommunications Engineering from the UMA. Responsible of International Communication at vjspain.com. 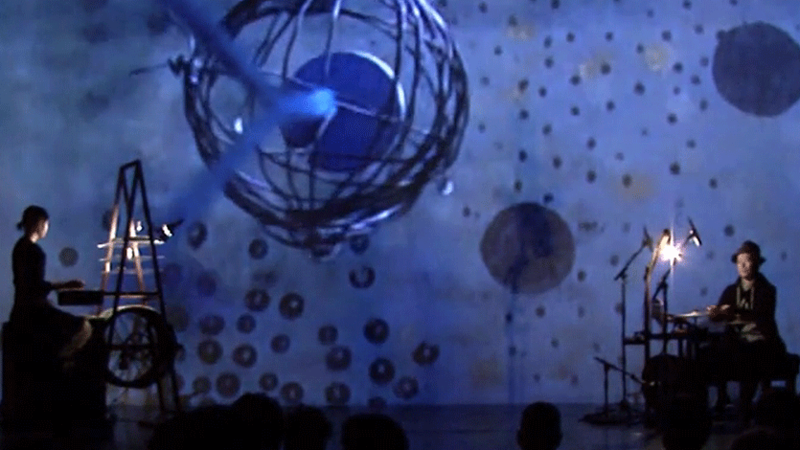 Author of Visual, Interactive & Augmented Reality installations. 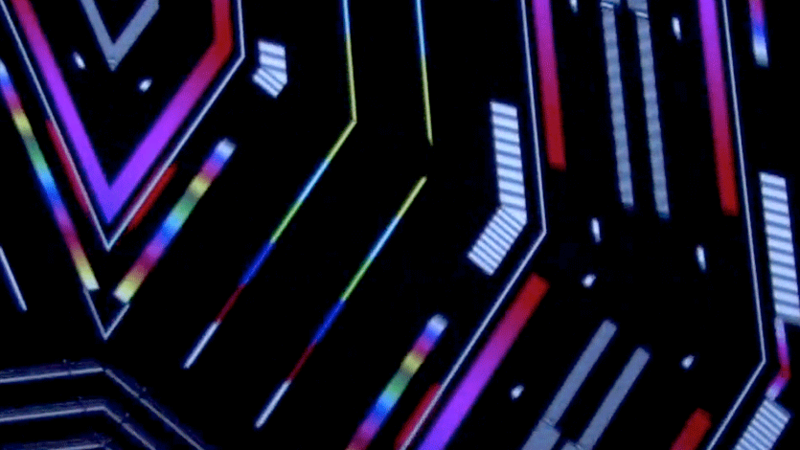 Hardware & Software Designer / Generative Graphics and Creative Coding programmer. 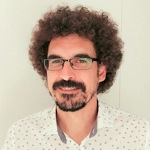 “Juanjo Fernández Rivero is a creator, who conscientiously searches for the right channels for his contents; accurate vehicles for the discourse impregnating his work; if we take a quick look at his career, we can appreciate the strength of the formal aspect in formats such as video, which might mislead us to the point of stating that Rivero is a formal artist. The “how” is important to him, but the “what” is crucial. This misconception may arise from his constant formal experimentation. Our deluxe jury and all the volunteers for their kind work.